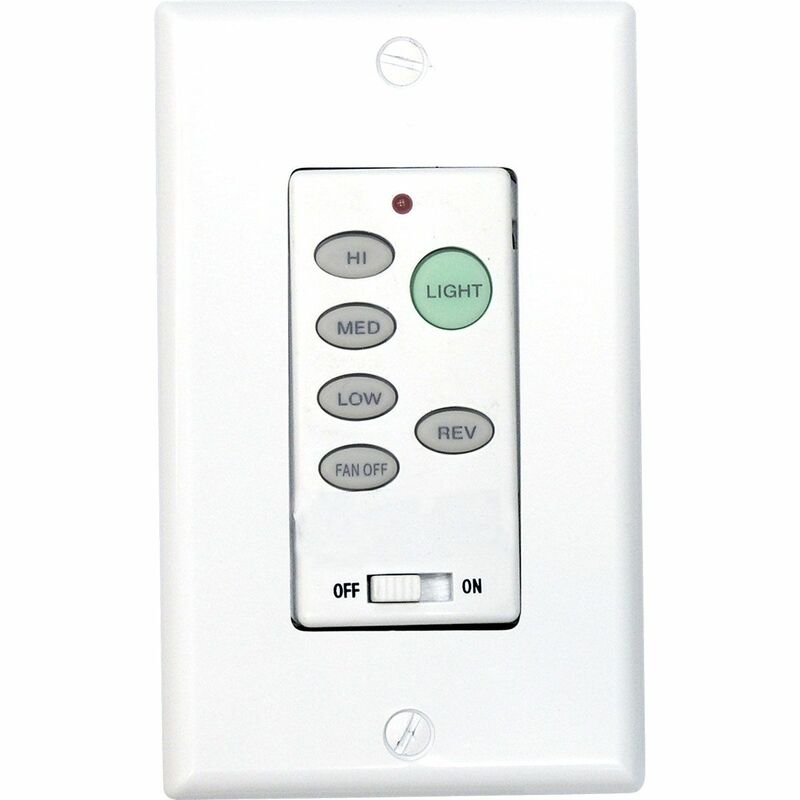 Full-function white wall control transmitter. Sometimes it's the little conveniences that mean the most, with this remote control, you'll never again find yourself awkwardly reaching up for pull chains to control your ceiling fan. Replaces handheld remote for the following fans: P2505, P2506, P2507, P2514, P2527 and P2528. 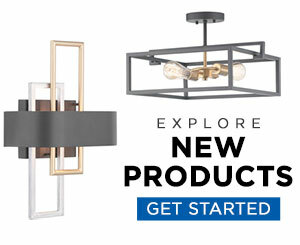 (receiver included with fan) Switch plate cover is included. AirPro Ceiling Fan Remote Control. 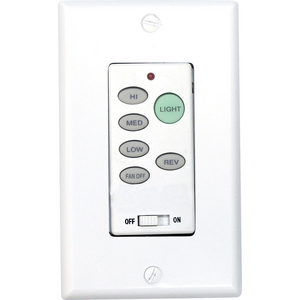 Wall control transmitter conveniently replacing remote control. For following fans: P2505, P2506, P2507, P2514, P2527 and P2528 (receiver included with fan).